The KoreChain is the first blockchain on a serious industrial-strength infrastructure that is focused exclusively on the complex world of global financial securities. The KoreChain is a permissioned Hyperledger Fabric blockchain. 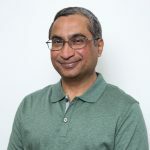 This gives it the native advantage of Fabric, a blockchain platform that has been engineered from the ground up for handling enterprise-class applications. KoreChain is implemented on IBM’s hosting platform since it provides the highest level of security as define by the US National Institute for Standards and Technology. In electing Hyperledger Fabric to be the foundational blockchain infrastructure for KoreChain rather than Ethereum, we made a clear commitment to good engineering, enterprise-class architecture, and implementation with well-established tools rather than new and untested programming environments. Membership and access-rights management: The securities world has many complicated rules about data privacy, KYC, AML, need-to-know, etc. Some of these vary by region or by exemption rules. In addition to regulatory constraints, the platform also has to accommodate privacy conditions of participants in various transactions. Fabric provides this flexibility through channels. High levels of performance and scalability: Securities transactions are more complicated than point-of-sale authentication and authorization. While all securities transactions don’t require response and completion within seconds (as, for example, in trading), the sheer volume of multiple transactions and subsidiary events in capital markets requires a robust infrastructure that can stand up to spikes and also support secondary trading. Security and safety: The combination of Hyperledger Fabric and the hosting infrastructure at IBM provide a protected environment that includes end-to-end cryptography and the highest level of security defined by the US National Institute of Standards and Technology (NIST), the level 4 of FIPS 140-2, that includes, for example, Hardware Security Modules. 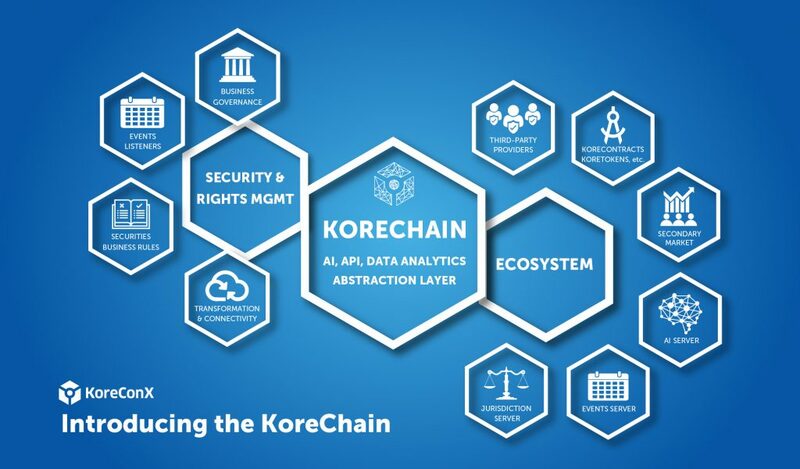 In addition to these, KoreChain provides a number of specialized capabilities such as several layers of artificial intelligence, event management, and transaction management for securities. All this makes the KoreChain an industrial-strength engine for KoreContracts, which are true smart contracts for financial services. One special category of KoreContracts is the KoreTokenContract, which is the fundamental template for KoreTokens. The KoreChain is carefully designed to ensure a safe and secure environment for security tokens and their management throughout their entire lifecycle, including provision for various corporate actions. More on these exciting developments in subsequent blogs and articles! Please see the following introductory Executive KoreBriefing on What is KoreChain? We will release the detailed technical whitepaper shortly.